A Democratic PAC this week launched its second ad in Nevada contending that U.S. Rep. Joe Heck has benefited from millions of dollars in dark money during his political career, and has opposed efforts to expose the sources of anonymous campaign spending. Katherine Cortez Masto Joe Heck. 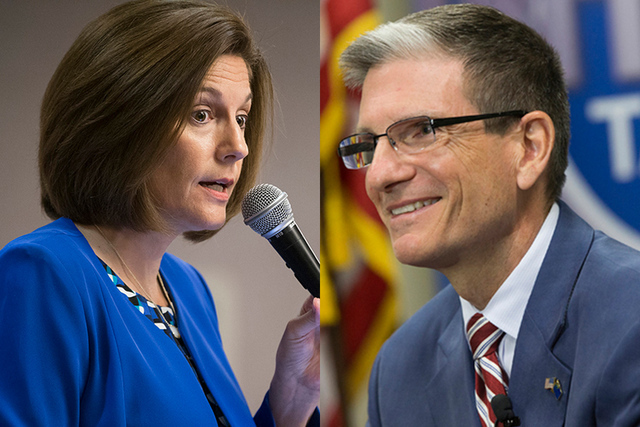 The Nevada Republican and his Democratic opponent, former Nevada attorney general Catherine Cortez Masto, are vying to replace retiring U.S. Senate Minority Leader Harry Reid in the Nov. 8 general election. End Citizens United is behind the new ad, which launched Thursday and is running statewide through Sept. 2. The ad contends Heck has benefited from $5.3 million in anonymous campaign spending during his political career and has voted against efforts to require disclosures and curtail anonymous campaign contributions. End Citizens United executive director Tiffany Muller contended in a statement that the campaign finance system is “broken,” in part due to the role of wealthy and special interests. She called Heck part of the problem.